Caron’s full line of Plant Growth Chambers provides precision environmental conditions for the growth of vibrant, healthy plants. Our chambers deliver the most accurately controlled conditions for optimum plant research and repeatable, reliable results. These reach-in, extra-large capacity chambers provide tight uniform control of temperature and a balanced lighting spectrum using Caron’s gLux™ high efficiency fluorescent lamps. The earth-friendly gLux lamps are modular, expandable and waterproof. Lamp banks are precisely spaced for uniformed, balanced light spectrum across all locations. Independent light banks allow you to utilize the chamber’s lighting system according to your requirements. 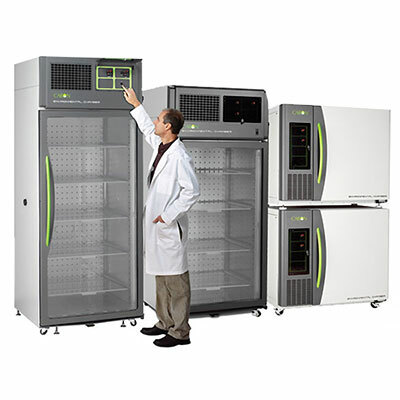 Our models include Plant Growth Chambers and Arabidopsis/Algae chambers, used for applications including: general plant growth experiments, standard plant production, lighting for vascular plants, plant pathology, plant morphology, algae production, genetic studies involving arabidopsis, pharmaceutical development and medicinal plants, plant physiology, plant biochemistry, plant molecular biology and more! See the specifications chart to find the right plant growth chamber for your need. Caron is committed to designing environmentally efficient products. Our green technologies are cutting edge, yielding proven cost savings and energy efficiency. Unlike competitive chambers that constantly operate the refrigeration system, our gROD™, Refrigeration on Demand control system, operates the refrigeration system only when it is needed to maintain the temperature setpoint. 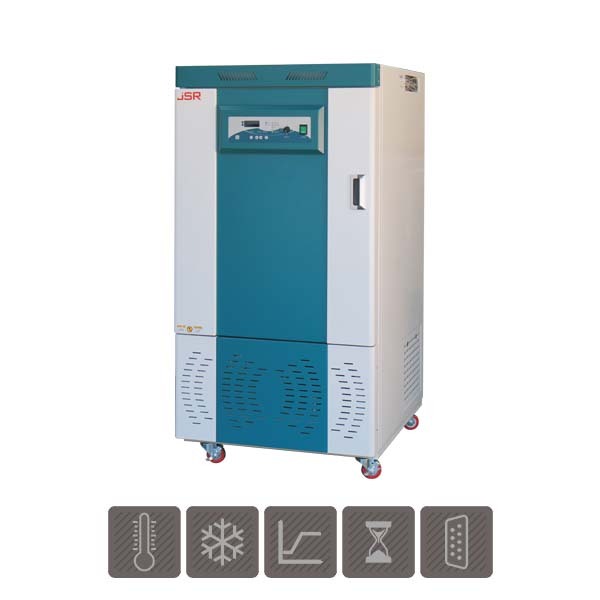 Insulation is foamed-in-place using CFC-free polyurethane foam, contributing to high thermal retention, placing less demand on your lab’s air conditioner. A wide range of options and accessories allows you to modify the chamber specific to your need. 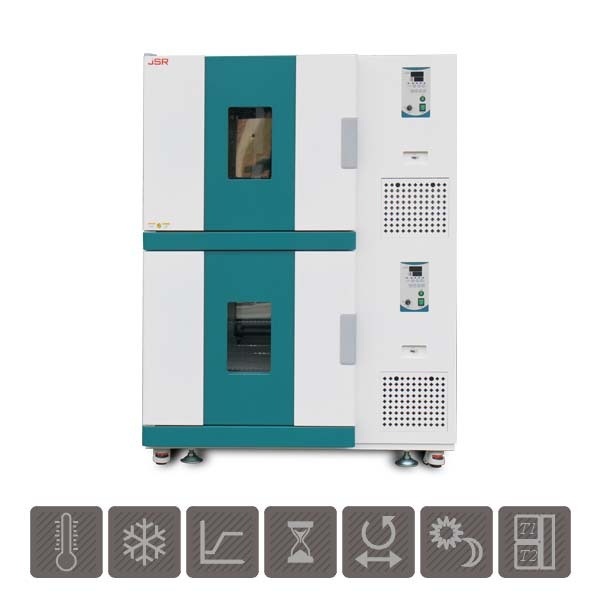 Some popular options include: humidity control, programmable/dimmable lights, CO2 control and chlorophyll-matching red (660 nm) and blue (420 nm) lamps. 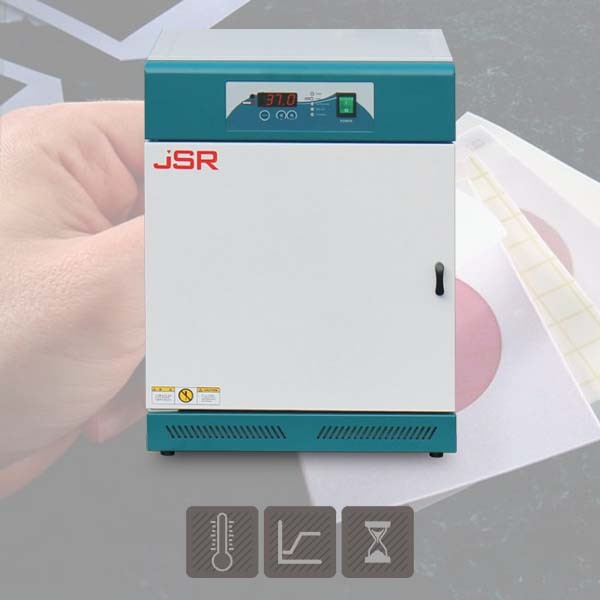 Optional humidity control uses gVapor™ and absolute humidity control technologies. gVapor is our steam-free humidity system that delivers controlled humidity vapor on an as-needed basis without wasting energy or generating heat. Absolute humidity control delivers unmatched, fast open door recovery and quick response time to setpoint changes. Our gLux lights are 65% brighter and last up to twice as long as other light fixtures and include a 24 hour cycle timer for day/night temperature settings. 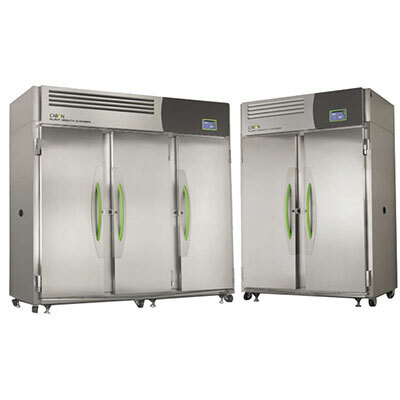 These chambers offer a wide temperature range with excellent uniformity and control. Our robust refrigeration system manages lamp heat and is reliable for years of trouble-free operation at continuous 24/7 setpoint with no defrost cycle or temperature spikes. gROD, Refrigeration on Demand, efficiently manages power consumption and saves electricity by providing refrigeration as-needed. The carefully designed horizontal airflow system generates evenly distributed airflow. Our tool-less removable interior uses unique stainless steel latches, making it easy to clean and reconfigure. Front access to electrical board and air filter make the chamber easy to maintenance. Caron green door handles are aesthetically pleasing and enhance ergonomics. 7” color touchscreen is intuitive and features easy-to-read icons and a familiar, user-friendly display that can be operated with gloves on. The user interface includes a configurable status center to communicate a wide range of status conditions, including a change lamp warning that monitors lamp-life hours. In the event of a power failure, non-volatile memory allows the chamber to return to its original setpoint when power is restored. Door locks are standard, protecting your chamber from unauthorized access to the interior. Magnetically sealed, self-closing and light-tight solid doors are 1.5” thick and insulated for optimal chamber performance. These chambers are designed with energy efficient, foamed in place, CFC-free insulation, contributing to minimal heat loss. Interior and exterior are comprised of stainless steel, making it easy to clean and highly resistant to corrosion. Contains two access ports (one on each side), providing you with convenient access to connect instrumentation.